Throughout his career, Short has never worried about making his comedy “contemporary.” To him, comedy is timeless, and he simply focuses on what amuses or interests him. 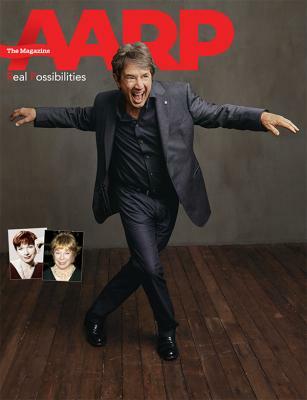 LOS ANGELES—Tony Award-winning comedian and SNL alum Martin Short shares his thoughts on film, friends and the pursuit of happiness in an exclusive interview for the February/March issue of AARP The Magazine (ATM). On February 4, Short will host AARP’s star-studded 18th Annual Movies for Grownups® Awards, airing on PBS on Friday, February 15 at 9 p.m. on PBS (check local listings) and streaming the following day on pbs.org/gperf and PBS apps. While the celebrated comedian has not had the easiest life, he has always maintained a positive outlook. Short’s wife of 30 years passed in 2010; however, he still makes life decisions with her in mind. The following are excerpts from ATM’s February/March 2019 cover story featuring Martin Short, available in homes starting February and available online now at www.aarp.org/magazine/.